The word amorphous means "without a fixed shape and form". Glass falls under this category, which means it is neither a solid nor a liquid. Chemists contend to address glass as an amorphous solid. The fact that most people do not know is that in glass molecules keep moving, flowing at a rate which cannot be seen and stay unnoticed. 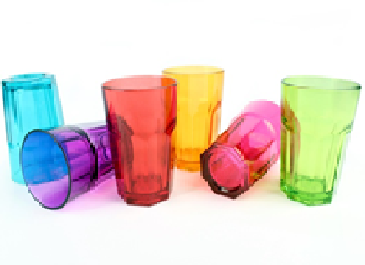 Glass can take various forms and colours depending on its constituents. Several materials can be melted to form glass. However, Silica from sand forms the main ingredient, along with soda ash and limestone. These ingredients together are put in a furnace. At high temperatures glass is formed. Glass combined with other additional minerals appears colorful. 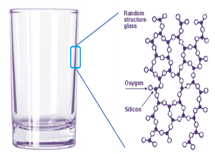 While we see glass in a shape, molecular glass has a random loosely packed silicon and oxygen atoms forming a disorderly crystalline structure, due to which it becomes an amorphous solid. Now students, can you guess what is the chemical composition of silica, limestone and soda ash?? This materials are added for colouring !